Zucchini is a summer squash which has a delicate flavor. It requires a little more than quick cooking and is high in folate and potassium. Although it can be eaten raw, it tastes best when it is baked, grilled, or shredded into bread dough. I like this recipe as it is easy to prep and is a fast bake in the oven. Although it has a mild flavor, it quickly catches on to the flavor of the salt, pepper, and chili powder. For someone who shuns away from this vegetable like I did, try it baked in the oven and you will definately change your mind. 1 Preheat an oven to 450F. Line a baking sheet with parchment paper or aluminum foil lightly greased with cooking spray. 2 Cut the washed zucchini in half lengthwise. Slice the zucchini into 1/2 x 1/2 x 4 inch pieces. 3 Combine the cornmeal, parmesan cheese, pepper and salt in a plate. Dip the zucchini fries into the oil, then press into cornmeal mix. Gently coat the fries. 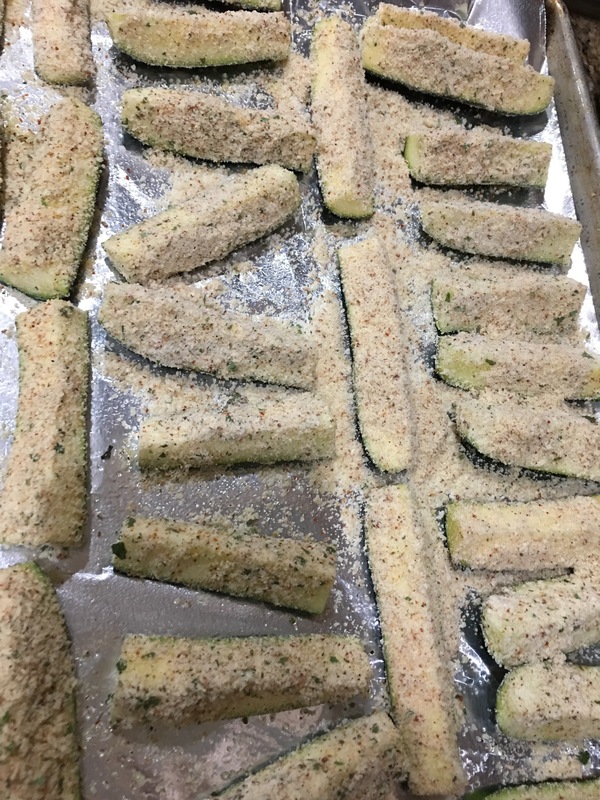 4 Bake the zucchini in the preheated oven until the fries are golden and tender, about 15 minutes.